S/Sgt. James W. Martin, son of Mr. and Mrs. Wade H. Martin, attended school in Tipton; husband of the former Lois Kemp. 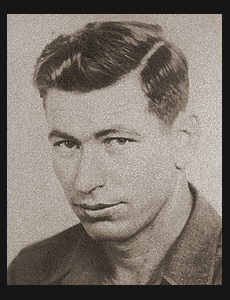 Entered Army in Dec. 1942, trained in Camp Robinson, Ark., Ft. Meade, Md., A.P. Hill, Va., Camp McCoy, Wis. and Waltersmett, Mich.; serverd in England, France, Belgium, Luxembourg and Germany. Awarded Good Conduct Medal, ETO Ribbon with three Battle Stars, Combat Inf. Badge, Bronze Star.